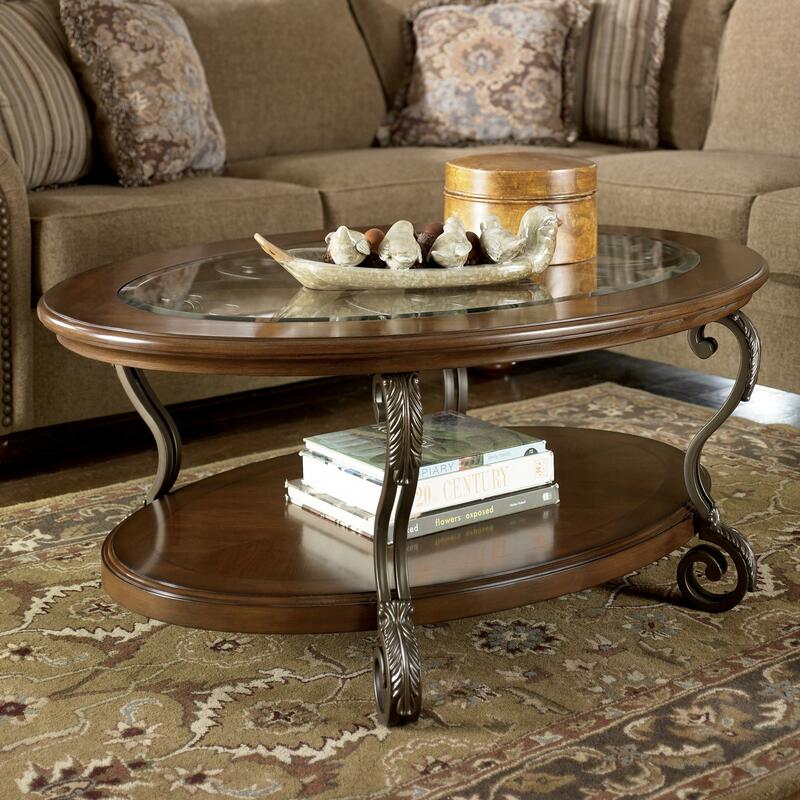 This oval cocktail table is an elegantly traditional storage and display table for your living room. With wood shelves, and shaped metal leg supports, and a glass top inset, this cocktail table is a smart and sophisticated choice for your living room and your home. The Nestor Oval Cocktail Table by Signature Design by Ashley at Michael's Furniture Warehouse in the San Fernando & Los Angeles area. Product availability may vary. Contact us for the most current availability on this product. 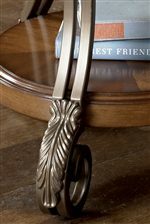 The Nestor collection is a great option if you are looking for Traditional furniture in the San Fernando & Los Angeles area. Browse other items in the Nestor collection from Michael's Furniture Warehouse in the San Fernando & Los Angeles area.